The apps allow students to communicate more effectively with safety officers. With summer winding down and syllabus week upon college students, campus law enforcement teams are doing their own type of studying -- on the best ways to keep their schools safe. Colleges and universities are doing that more frequently through school safety apps, which safety officials hope will provide comfort to students and parents alike. "What students want to do today, is make it convenient for themselves, make it a modality that they're comfortable with," Jay Gruber, Chief of Police at Georgetown University Chief of Public Safety, told ABC News. Georgetown uses the app LiveSafe, which was founded by a Virginia Tech student after the 2007 shooting on that campus. The shooting, which left 33 people dead and 17 wounded, was the deadliest mass shooting in college campus history. Among the features LiveSafe provides, it allows students to give anonymous tips on suspicious behavior in a text-like manner, as well as call for rides safely and communicate with campus police. 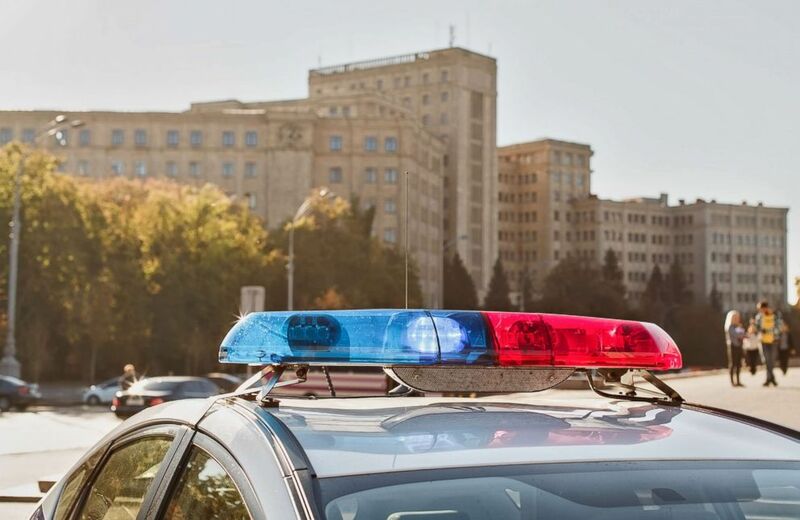 (STOCK PHOTO/Shutterstock) A police car is pictured at a university in this undated stock photo. These apps serve as a necessity for colleges because getting information to students in a timely, effective manner is paramount for campus law enforcement leaders. At Georgetown, for example, campus law enforcement was able to quickly arrest a man who exposed himself to a student after a student reported it on LiveSafe. LiveSafe isn't the only app colleges are using to keep students comfortable and safe on and around campus. Other apps include Rave Guardian and AppArmor, which includes a feature that has the ability to report tips anonymously. Rave Guardian, an app similar to LiveSafe, provides safety services to college campuses, including the University of Cincinnati, the University of South Carolina and Boise State University. 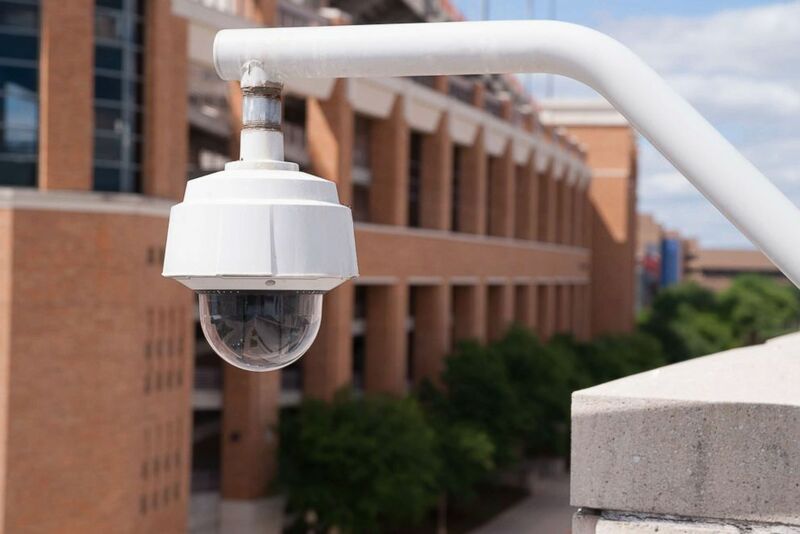 (STOCK PHOTO/Shutterstock) A video security camera housing mounted high on college campus is pictured in this undated stock photo. Gruber stressed the importance of being able to communicate with campus police is helpful and lets the student provide officers with "actionable information." "The fact that students can use the app to provide the tip in an anonymous fashion has also been important for us as well," Gruber continued. According to the U.S. Department of Education, crime on college campuses has been at a standstill since 2013 with fewer than 38,000 incidents per year. The data is based on 6,506 institutions with 11,260 campuses and they've been declining from 2008 to 2013. Beyond violence, school safety law enforcement is utilizing the apps to communicate with its student during tragedies. Chris Sinkinson, one of the AppArmor's creators, told ABC News that during the bombing at the Ariana Grande concert in Manchester, England, where 23 people died, colleges were able to check in through the app on students studying abroad to make sure they were safe. 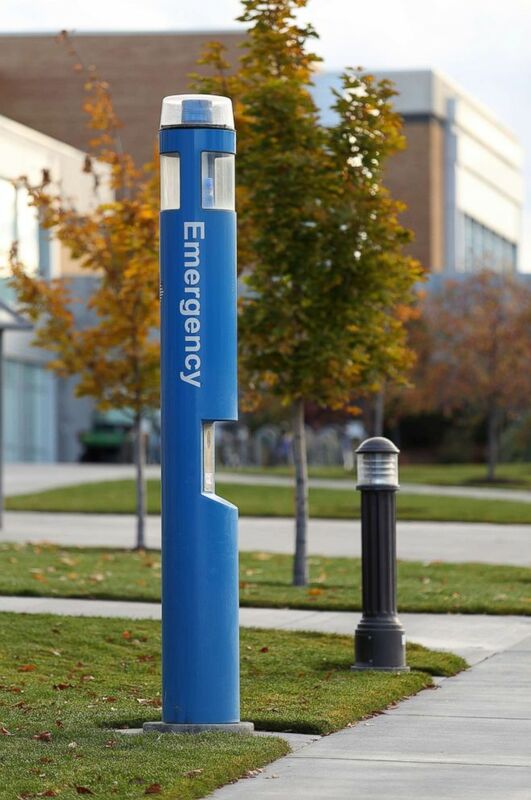 (STOCK PHOTO/Shutterstock) An emergency call box located on a university campus is pictured in this undated stock photo. Some colleges describe the app as a "mobile blue light," referring to the emergency blue light stands that can be found around college campuses. AppArmor designs specific interfaces for each college. For example, the University of Florida uses "Gator Safe," which is tailored to their needs, complete with school branding. Ed Posey, the associate director of the University of Florida Police Department, who uses the app, told ABC News there are "vast pieces of information" on the app that are helpful to students, faculty and staff. It also includes a directory of what to do if, for example, a student drinks too much. Posey said there are 100,000 people on campus during game-days and that some go in and stay outside the stadium, so getting information to everyone quickly is important. He added that the "Gator Safe" app sends messages quicker than a text.